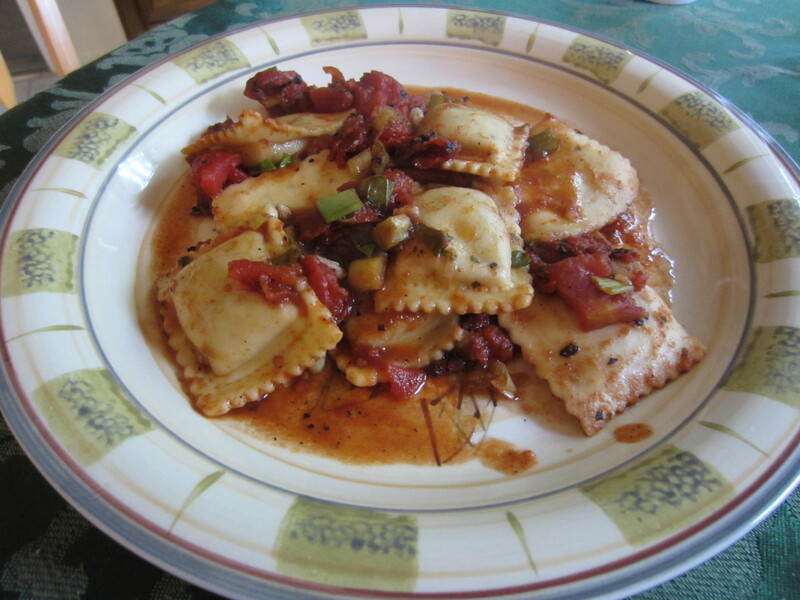 I wanted to come up with a ravioli recipe that was easy to make and inexpensive. The results: a blend of earthy mushrooms, tart balsamic, and fire roasted tomatoes that you’re sure to enjoy. And the prep time is little to nothing! Preheat the oven to 400 degrees. Spray casserole dish with nonstick spray. 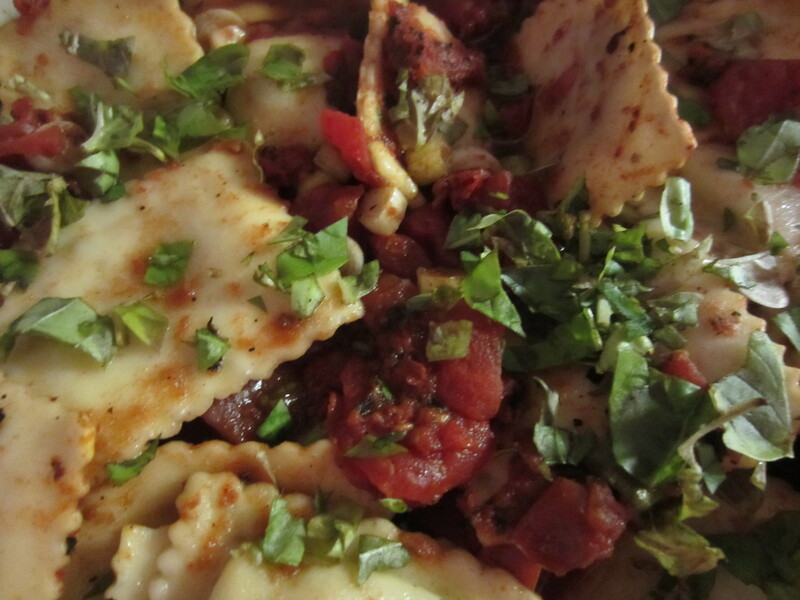 Mix the remaining ingredients together (all but the basil) and put in casserole dish. Cover and bake for 30 minutes. Sprinkle with fresh basil and serve. Weight Watchers: 9 Points (using calculatorcat.com). I realize I said this dish was inexpensive, and then I went and put truffle oil in the recipe. Honestly, that’s because I had it in the pantry already. If you don’t have truffle oil, it’s expensive, so go ahead and substitute olive oil. The meal will still be very good. You get a really decent sized portion too! I must say, however, that I am very impressed with the effect truffle oil has on this dish. The mushroomy flavor gives the whole meal a very earthy taste, and that balances well with the acidic tomatoes and balsamic. Yum. As for the sodium in the dish, I didn’t include any additional sea salt to the nutrition information. So if you add some salt for the “to taste” part of the recipe, make sure to take that into account. There really isn’t much more to say. You literally just throw the ingredients together and bake. Done. I love food that works out that way.